Before you improve your SEO rankings, you need to establish why your site isn’t currently ranking very well. Do you know which Google algorithm has affected your rankings? Panda and Penguin are very different. The Google Penguin algorithm was launched around the 24th April 2012 and deals with ‘off-page’ link related SEO, so traffic drops near this date indicate that Penguin is responsible. Whichever keywords dominate your anchor text profile will usually be the ones hit hardest by Penguin. We use the free back-link analysis tool at majesticseo.com to see which keywords are being used in anchor text. The Penguin algorithm looks at the keyword density of each exact match keyword and these need to be 5% or lower. You need to reduce the volume of keyword rich links. Replace these with Brand links, URL based links and ‘junk’ links. Use your company or website name for Brand links. Your URL links should be an array of different permutations of your domain name. The weight given to links coming from the same IP addresses have been greatly diminished, so focus on building links from various servers. 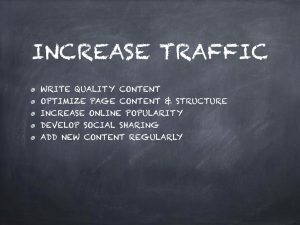 Building inbound links on themed sites that have similar content topics to you will help more than ever before. Look for sites with a good trust score and don’t build links on low trust score domains. Build back-links from pages with back-links. We’d advise webmasters to avoid automated link networks since they rarely provide anything other than the lowest quality back-links and when Google identify the network it will lose all its ranking influence and sites it links to are going to be penalized in search. On-page keyword density is is vital for good Google rankings and for your main keyword or phrase, should not exceed 2 – 3%. Reference authority domains (.edu, .gov) from relevant text as this is a great indicator that your web site is prepared to share quality information. The only content that you should have on your site must be unique, good quality and well written. Contextual linking is the process of building links from words within your content, either to more of your own content, or to external content. It’s considered a sensible practice for page quality. Your content works hand in hand with your web design to provide a quality pattern to Google, for example, if your website isn’t mobile friendly, you will struggle to rank, not only on phones and tablets, but increasingly on PC’s too as Mobile rankings are being prioritised over desktop rankings. Test your mobile compatibility for Google here & if your site isn’t mobile friendly, ask CRWD to fix it for you. Where possible you should include suitable graphics and videos. A video will help to improve the time visitors spend on your website and pictures help to separate large blocks of content, improving readability. You should use alternate text behind each image on your page to describe the specific image. Each image should have different alt text. Your website quality score will be affected should you have spelling errors, grammatical mistakes or bad punctuation. Make sure you use a spell checker on all your new website content before you publish it. The quantity of content that you write for every page should be as much or as little as you have to say on the particular topic, however, there is evidence that pages with more than 500 words have extra weight in the search results. You should draft your content for the benefit of prospective customers, not for search engines. There is no point writing just for search engines, because when real people arrive at your content they won’t stay very long. Google has the technology to relate similar meaning words together, so it isn’t necessary to repeat your most important keywords in order to get them noticed, instead you can use different words that mean a similar thing and Google will relate those words for you. This allows you to write your content in a much more natural style. You should add bespoke meta data tags to each page of your site. If pages have the same meta-tags on several pages you will then be penalized in SERP’s. The quality of your meta description tag will affect your click through rate from Google and the other search engines. Write the most teaser description tags that you can. Slow loading websites won’t rank very well. Use YSlow in Firefox to measure the load speed of your websites content. The bounce rate for your site is an indication of how many of your website visitors engage with your content rather than hitting the back button when they arrive. You want your bounce rate to be less than 55%. Your website visitors should ideally stay to read your site content. Those that leave instantly contribute to your site ‘bounce rate’ which should be less than 55% to rank well in Google. Engagement is linked to your other online marketing activities including your social media marketing, pay per click campaigns, viral marketing, in fact all your internet marketing activity. Google measures the standard of your web site by checking the average amount of pages viewed by visitors. The more pages each of your visitors looks at, the better your content is rated to be. The average time on site is an important metric for your quality score. The longer people spend on your web site, the better your rankings will probably be. LSI is a nightmare, all you can do is to aggregate all the related terms that you have and hope for the best!